The Securities Act of 1933 and the Securities Exchange Act of 1934 primarily regulates securities fraud. The purpose of these acts was to ensure market competition by requiring full and fair disclosure of all material information in the financial marketplace. Both criminal and civil liability may find those who are accused or guilty of a securities fraud violation. There are two main types of fraud which are the underlying foundation for charging a person for securities fraud: misrepresentations and/or omissions of material facts; and insider trading. The most common securities fraud actions are misrepresentations and/or omission in connection with the purchase or sale of securities. Insider trading occurs when a person has inside knowledge on a company’s dealings and uses that information to trade stocks. Through the course of insider trading, there is a breach of fiduciary duty because the person is using confidential, material, non-public, non public information for personal gain. 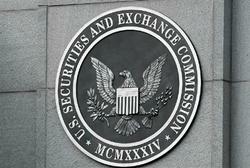 Federal law makes it a crime to use inside information to buy or sell stocks. Who is Likely to Be Charged with Securities Fraud? According to the FBI website, the term Securities Fraud covers a wide range of illegal activities, all of which involve the deception of investors or the manipulation of financial markets. Characterized by promises of high rates of return with little or no risk. “Too good to be true” investment opportunities. Perpetrators may contact victims by telephone, e-mail, or in person. The offers are generally unsolicited. Money from new victims to pay high rates of return promised to earlier investors. Payouts give the impression of a legitimate, money-making enterprise. In reality, NEW investors are the only source of payout funding. Victims advance relatively small sums of money in the hope of realizing much larger gains. Gains never materialize because there is no legitimate underlying investment. After victims pay “fees,” the perpetrators never deliver on the investment. 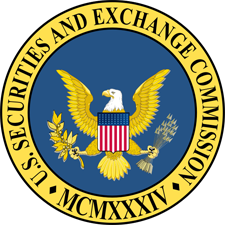 Publicly traded companies that knowingly or unknowingly make false statements on quarterly or annual statements to the SEC are at significant risk of being charged with securities fraud. Those officers, directors or employees accused or charged with “cooking the company books,” –yes, even middle managers or lower-level corporate employees, are also at risk of charges. Even of you were simply “aware” of any wrongdoing or assisted in the most minute manner you are at risk of powerful, life-altering charges being leveled at you. You may be at the height of your professional career with a great salary, terrific benefits, stock options, and the prestige of your position. To walk away from that is a BIG deal; a devastating choice when weighing your shrinking options. However, if the other option is a 10-year prison sentence that might be far worse. Better to consult with an attorney to talk through your choices with the shield of attorney-client privilege so you can make a prudent decision for the best possible outcome. To protect your interests, remember this: no one should voluntarily participate in an SEC investigation without first consulting with a white collar lawyer experienced in the defense of securities fraud allegations. When you talk to us you can be sure of one thing, that we are listening. The police and your accusers have their story, and it is our job to make sure that your story is heard. We want to know what happened and we want everyone else to know too. Call me personally – 888-888-6582 – I am waiting to hear your story now, to defend you and make sure that your voice is heard. We Are Your Criminal Defense Lawyers and we are proud to serve Los Angeles, Orange, Riverside and San Bernardino Counties.